A massive car bomb has killed over a hundred people in a refugee camp near the Syrian city of Deir ez-Zor. RT has managed to film exclusive footage of the aftermath. Deir ez-Zor had been under terrorist siege for three years. On Friday, the Syrian Army claimed complete victory over ISIS in the city. 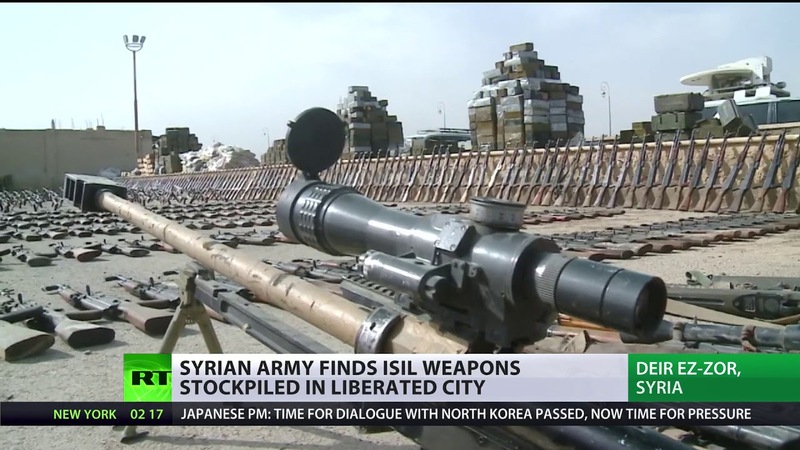 Government troops say they’ve discovered massive ISIS weapon stockpiles. RT spoke to several top Syrian officers about the liberation.